Ambrosia beetles are killing trees across Western North Carolina. As more people move to the area and plant susceptible plants, we are seeing more trees being attacked. 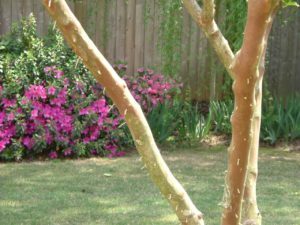 Crape myrtles, Japanese Maples, redbud, and many other trees are susceptible. We even see the pesky insects in fruit orchards and vineyards where they kill weak plants. This group of wood boring beetles is made up of many different species. Some are native, performing a very important ecological role as decomposers by breaking down dying trees. Others are non-native having been introduced from Asia and Europe in untreated packaging materials such as pallets. Species vary in size from 1/10 – 1/4 of an inch, most considerably smaller than a grain of rice. 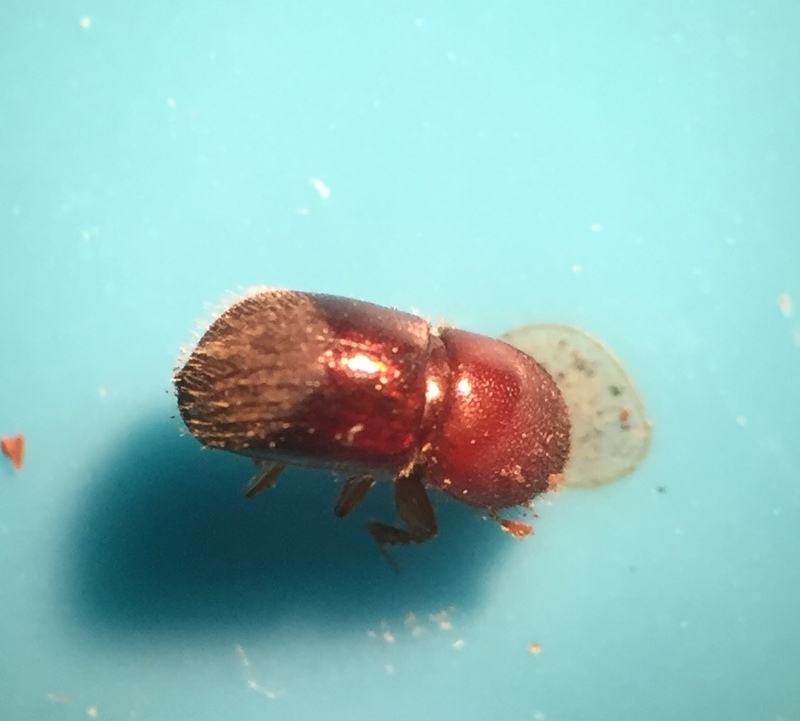 Ambrosia beetles drill into wood creating holes smaller than the diameter of a pencil lead. They do not eat the wood; they gnaw it and push it out behind them as they construct their tunnels. Sometimes a toothpick-like protrusion of sawdust will form at the hole. The beetles do not eat the wood. Rather, their larvae which they deposit in their tunnels, eat a fungus. They carry the fungus on their bodies and as they drill into the tree, the wood is infected. 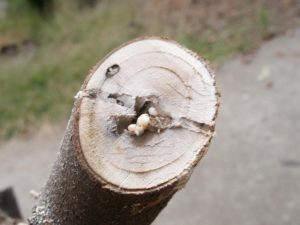 The drilling of most ambrosia beetles is harmless while the fungus actually kills the plant by clogging the stem so no water can move up from the roots. Adult beetles emerge from infested trees and seek out sick trees in February when we get a few days of warm weather. The beetles actually smell chemicals released by sick trees. Often, they will reenter the same tree where they were born. There will be two or three generations of the beetle per year. 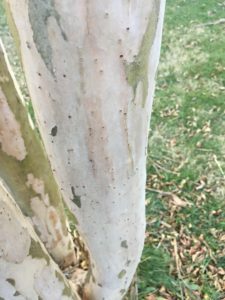 The best control of the ambrosia beetle is to keep your trees as healthy as possible. Plant them correctly and avoid over-watering. 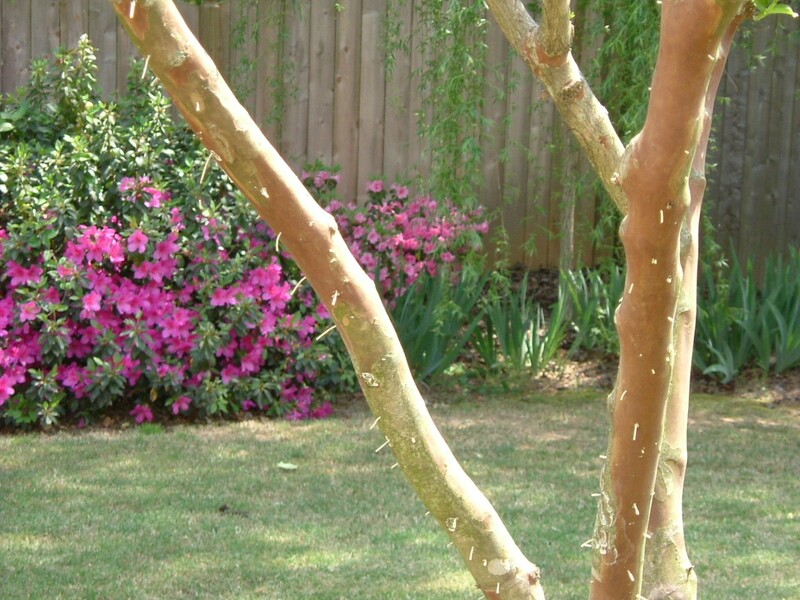 Do not damage trees and do not use too much mulch over the root system. If you have a particularly important plant that you do not want to lose or if you have had trouble with ambrosia beetles before, a spray of bifenthrin insecticide applied to the bark of the trunk of the tree in Mid-February, mid-March, and mid-April can offer protection.